Wellington International Airport, which is 66 per cent owned by investment group Infratil, posted a 29 per cent gain in full-year profit as growth in international passenger volumes drove revenue. Profit rose to $12.5 million in the 12 months ended March 31, from about $9.7 million a year earlier, the company said in a statement. Sales gained 4.8 per cent to $113.5 million. International passenger volumes rose 16 per cent to 897,316 last year while domestic gained 4.6 per cent to about 4.9 million. The airport company agreed five new international services from Jetstar, Fiji Airways and Qantas Airways, adding 160,000 seats and it anticipates a further 110,000 seats when Singapore Airlines begins a Boeing 777 service linking Wellington with Canberra and Singapore in September. Domestic volumes were lifted by new Jetstar routes, expanded capacity from Air New Zealand and a contribution from Sounds Air, it said. 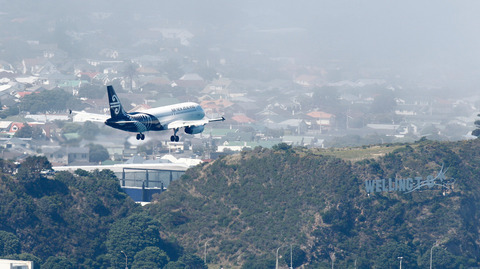 Last month the company lodged an application to extend its runway with the Wellington City Council and the Greater Wellington Regional Council. The airport is seeking permission to build a 350-metre runway extension in a bid to attract long-haul flights from Asia and the United States, at a cost of $300 million. Infratil argues that central and local government should foot most of the bill because the investment is in the national and regional interest while not being viable on a standalone commercial basis. Wellington City Council owns the other 33 per cent of the airport. Capital development already underway includes a $65 million expansion of the domestic terminal and a $70 million transport hub, a Rydges hotel and in the longer term, a $60 million expansion of the international terminal. Aircraft movement and terminal charges made up the biggest share of annual revenue, rising 5.1 per cent to $65.9 million. Retail and trading activities contributed $35.7 million, up 4.9 per cent, and property rent and lease income rose 2.8 per cent to $11.8 million. The airport paid a dividend of about $13 million to the city council and a subvention payment of $39.5 million on Infratil.